BEST IN THE MIX: VIDEO: Rhythm Roulette (Mass Appeal) - Big K.R.I.T. 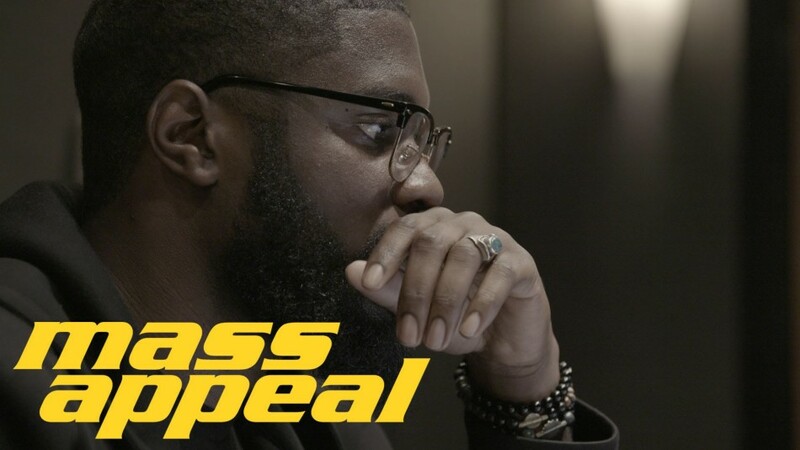 VIDEO: Rhythm Roulette (Mass Appeal) - Big K.R.I.T. Here we go with another Rhythm Roulette episode from Mass Appeal's video series that spotlights the art of sampling. This time the series focuses on Big KRIT. BITM regulars know we champion this young spitter, but there are a few out there that might not know this emcee is also a bona fide producer. If you follow KRIT or Mass Appeal on social media, you would have seen both promote this episode that come out in March of this year. Big KRIT is a Meridian, Mississippi native that has been in the hip hop game since the mid oughts. Since then the emcee/producer has been dropping classic records on a regular basis. His accolades are just as high whether you are talking about his lyrical ability or his skills on the boards. Even though KRIT hasn't reached the commercial success of a T.I. or Ludacris (or all the southern rapper clones out now), he is still viewed as an heir apparent to the southern throne. The King Remembered In Time has amassed a loyal underground following with numbers that only continue to grow across the globe. While KRIT is a "southern" artist, he is not confined to a specific flow, cadence or subject matter (unlike said rapper clones). His beats also range from the smooth and soulful to bust your eardrums in the club type tracks. KRIT hits up Sweet Melissa Records shop in the ATL to pick his three records to sample. At the studio he shows what the records were: Linda Clifford - I'm Yours, Seatrain - Seatrain and Culture Club - Waking Up with the House on Fire. Young Krizzle builds his soulful melody using the samples and adding his own drums and tempo to the track. With a few chopped and screwed vocal manipulations, KRIT finalizes his beat. But here is where the two headed dragon that is Big KRIT takes the series to another level. As mentioned at the top of the post, most know the Mississippi artist as the monster emcee he is. So it is only natural that KRIT spits on his newly minted instrumental. I think the episode with Large Professor has one of Pro's boys spit on the track. But I think KRIT is correct when he proclaims he is the first to make a beat (in the series) and spit over it. So, fans of KRIT, the Rhythm Roulette series, or just GOOD HIP HOP, peep the video below. Peep the single "Sticks & Stones" first, then the Rhythm Roulette episode to see the process of sampling in all its glory.